Yeah really, where was the jawani & where was the deewani? Another new movie I watched over the weekend and again I am thinking how the media and press can influence people. I’ll not stick to the regular story & analysis but also write on the marketing game. So keep reading. Naina falls in love with Bunny over the trip but Bunny doesn’t realize that nor has similar feelings, he is more interested in his course abroad and settling overseas than anything else. However, the four meet again after 8 years at Aditi’s marriage. What happens there, whether people fall in love or not – its better you watch the movie. (Or don’t – better log on to Gaana.com or other song portals and listen to the songs – that’s more than enough). Characters go yo-yo with their thoughts; Deppika’s character especially suddenly changes from this nerd to the super cool gurl as she goes for trekking. And equally absurd is when she suddenly gets into the micro hot pants for an impromptu holi in Manali!! And please all studious people need not be in glasses!!!! Too much cliché in our films. And how often do you think you can log into MakemyTrip.com one night and go on a conducted group tour at the last moment next morning and tell I can sleep on the floor!!! Or for that matter you climb up on the highest mountain peak in like what – two minutes!! I know it’s a movie but it’s insane! Ranbir Kapoor is a good actor but lately I have found his characters are little similar. You can get many glimpses of Wake up Sid here. Kalki Koechlin looks cute but both she & Aditya RK don’t have much role and are okay in their part. I still didn’t figure out why & how Avi became the drunkard man with unshaved beard who has lost everything. It was nice to see Farooq Sheikh after a long time. And yes Madhuri Dixit still looks beautiful and has an eternal grace. Songs are good but story – a dud. Now that there isn’t much for me to analyze lets go to the game of marketing in “Bollywood movies” these days. You make a swanky package with glossy teasers and sleek theatricals and release really peppy songs which create an illusion – an illusion that at least this movie will be good. And I fell prey to the same. I was quite pleased with ‘Badtamese Dil’ when it was released on Gaana.com. And same was the feeling with the other songs. The video of Badtamese Dil was really nice and gave me an impression of a prom party of college graduation day party rather than a pre-wedding cocktail party. The theatricals were also smartly packaged which gave a very different impression. But in reality it’s all an attempt to mask a dud story n a dud movie under all the glitz and glamour. And you get the merchandize & outfits these days on online websites to create the fashion excitement! Ironically, you also find all these movies getting good ratings and good reviews across all the leading news dailies and channels. But why? I have stopped going through TOI ratings anyways because I feel they are ‘tampered with’. But why is it with almost every other leading news portals? NDTV says – “Yeh Jawaani Hai Deewani is a mix of Dil Chahta Hai and Zindagi Na Milegi Dobara, with dollops of 3 Idiots thrown in for good measure” (sic). Are we going to consider any movie with friends bonding over travel as DCH or ZNMD??? And where the hell did these ‘dollops’ of 3 Idiots came into this?? And I saw in today’s news that this movie has crossed the 1 Billion Rupee mark!!! (This is from Reuters & not TOI – you can read here). My question is HOW??? Yeah yeah of course – how can I not see – it’s a big fat Karan Johar movie all the gloss and glitz is bringing him the mullah. Anyways I think I have already written a lot. But I guess it’s better to watch a good movie little later after knowing the truth than watching these brand new releases. To all those who are going to watch it – I salute you – you are brave. And all those like me I can empathize with you – take some tissues from me…. And all those who liked and gave the movie a 4 star rating – FACEPALM….. no….. 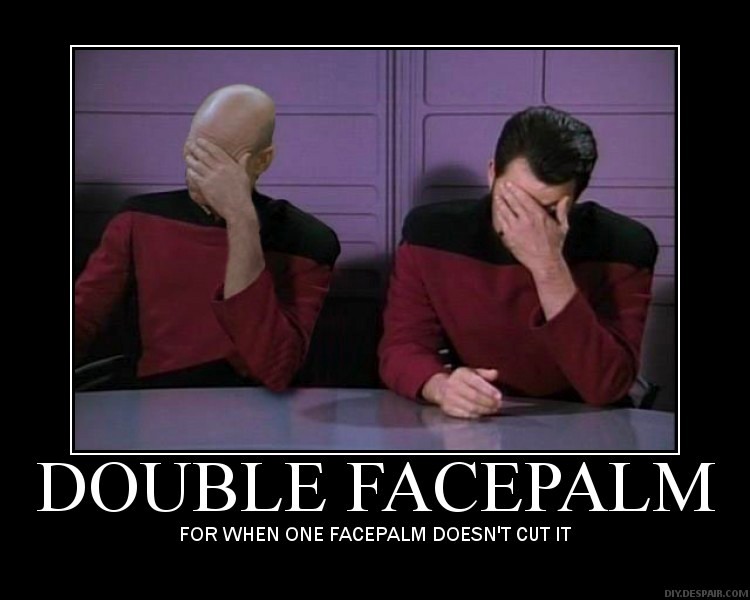 DOUBLE FACEPALM. Really? Are you part of the production team? Or ayan Mukherjee himself? Anyways its your opinion.and what I wrote is my opinion. Yeah…..I fully agree…..I went to watch that movie and trust me its a full on waste of time and money. I wanted to run away after the first part only but since I had given up so much money, I didn't. I just hate marketing people…..
Great Blog!!! Thanks for sharing valuable information with us.